One sequence in The LEGO Movie 2 deals with time travel, and pulls in several time travel themed pop culture properties. Some, like Back to the Future and Doctor Who, are perfectly family friendly, but others, like Terminator and Hot Tub Time Machine, are R-rated films that the target market for LEGO toys has hopefully never seen. As such, it seems that LEGO wasn’t excited by the idea of their inclusion, but in the end relented. The references are brief and meant with the same fun as the others. The fact that these titles are more mature is never referenced. It seems that these negotiations with LEGO have been an ongoing conversation ever since the film franchise started. Chris Miller, who co-directed the first LEGO Movie and co-write this one with his partner Phil Lord, admits to iO9 that they tried to make a Clockwork Orange reference in the first film, but LEGO wasn’t into the idea. It’s not too shocking that LEGO might take issue with mature material being put in the movie. The company has become one of the most well known toy companies in the world. 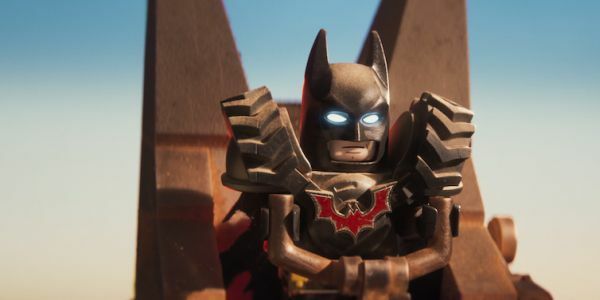 Everybody, of every age, can play with LEGO, and while the company isn’t shy about working out licensing deals with other entertainment brands (they work with both Marvel and DC), the brands they work with are all just as family friendly, stopping with PG-13 level films and related content. Of course, since LEGO has been around for decades, many of us that grew up playing with them are now adults watching some of that mature content, and the LEGO Movie franchise is as much, if not more so, for us than it is for kids, so the references make sense. Still, I wouldn’t go expecting to see an R-rated LEGO Movie anytime soon, the folks in Denmark would probably take issue with that.